Hillary Clinton Hammers Israel – And I Am "Shocked!" One of the most famous and most quoted lines from the movies is from Casablanca (1942), when Captain Renault enters Rick's Café, sees the card players, and announces, "I'm shocked, shocked to find that gambling is going on in here!" – just before he takes his bribe to assure that the gambling continues. Hillary Clinton tells Israel what to do. 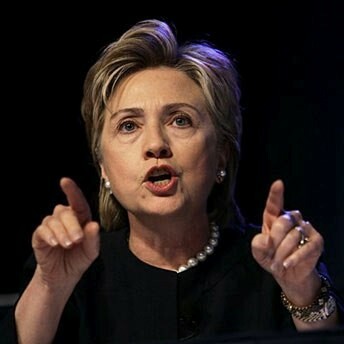 In a swift about face from her views as New York's senator, Secretary of State Hillary Clinton is now hammering Israel over its treatment of Palestinians in Gaza. As First Lady, Clinton raised eyebrows when she kissed Suha Arafat. Since she was then seeking a Senate seat the resulting brouhaha caused her to "re-think" her positions. "I'm a very strong supporter of Israel," Clinton said back in February 2000. On Thursday, as Secretary of State she had yet another about face in the form of angry messages demanding Israel speed up aid to Gaza. Jewish leaders are furious. "I am very surprised, frankly, at this statement from the United States government and from the secretary of state," said Mortimer Zuckerman, publisher of the New York Daily News and member of the NYC Jewish Community Relations Council. "I liked her a lot more as a senator from New York," Assemblyman Dov Hikind, D-Brooklyn, said. "Now, I wonder as I used to wonder who the real Hillary Clinton is."